You run a small, nonprofit or membership-based organization and you’re looking for inexpensive ways to gain new members. Have you thought of advertising on Facebook? Hold that thought. I have no doubt that your organization, like many other nonprofits, is cash-strapped. But, believe it or not, you’re already investing money into advertising. For example, How many events have you held where non-members could have attended? How much did they cost? You need a model for advertising that brings in more money than you spend. First, let’s understand some simple calculations. How much does it cost you to acquire a member? This is the holy grail of all marketing & sales. In any business, in any industry, in any association, if you know this number, you’re ahead of most of the market. Grade 2 math question: If Joe finds a customer who he can sell a candy bar to for $2, what is the maximum amount he can spend to buy said candy bar so that he can turn a profit? This is the math question you should be doing with your organization’s marketing and sales activities. If a member will pay $100 in membership dues a year, you can spend UP TO $99 on this member over the course of the year. Cost Per Impression (CPM) — Remember the radio and TV ads we talked about? Under those formats, eyeballs or “impressions” (the number of people who see or hear your ad) are the units of value. The more people that come across your ad, the more expensive the ad is. This is why Super Bowl commercials cost into the millions. Cost Per Click (CPC) — This is the number you need to keep your eye on. This is how it works: If 100 people see your ad, but 10 people click the link on the ad, you only get charged for the 10 people who clicked! Each person costs a certain amount — that amount is what we call CPC. With Google Adwords and Facebook, CPC is the big advantage. Who cares if 1 million people see a Super Bowl ad about your organization in Little Rock, Arkansas, if only 10 people out of the 1 million actually live in Little Rock and can feasibly join your organization? Instead, think about this: What if you could show ads only to people in Little Rock? Let’s take it a step further. Let’s say your organization was a professional association for nurses in Little Rock. What if you could show ads only to Nurses in Little Rock? And a step even further: What if you had to pay only if a Nurse clicked your ad and landed on your website? That’s the magic of targeted ads. 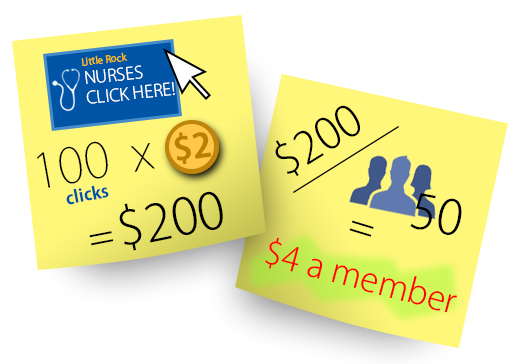 If 100 nurses click your ad at a cost of $2/click and 50 of them end up being members, what is your cost of acquisition of 1 member? 50 new members acquired for $200 total = $200/50 members = $4 spent per new member. Now what if each new member pays $100/year for an annual membership? You just made $96 that you can use to hold better events and provide more benefits for members! 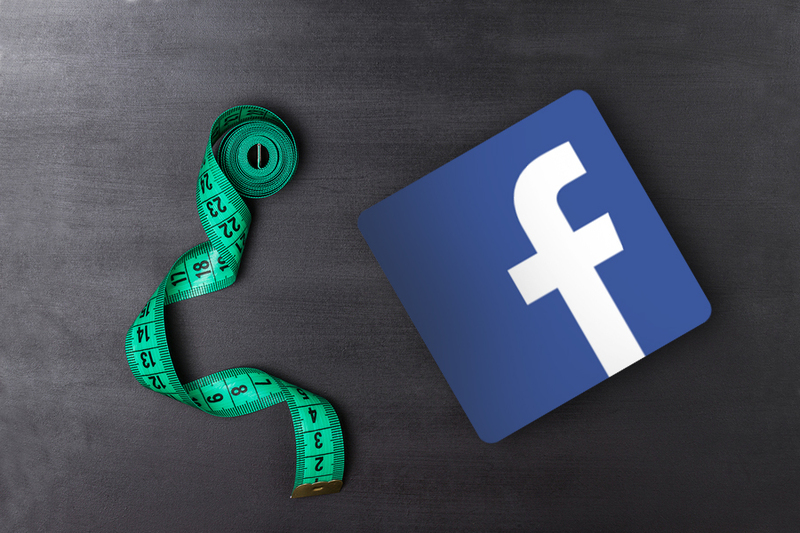 You just used Facebook to measure the cost of new members! How cool is that?! What should you say in your ad? How will you find the right people to target? Where should your ad link to? I’ll be answering all these questions and more during this year’s Membership Growth Online Summit—an online event focused on strategies to grow small, membership-based organizations to the next level. Join me for my 1-hour session on how to create your own Facebook Ads sure to attract and convert new members, by signing up for the summit. Learn more about the Membership Growth Online Summit here. It’s completely free! Shiv Narayanan is the Head of Marketing and Sales at Wild Apricot. An expert in designing sales funnels, customer value optimization and copywriting, he has executed ad campaigns worth hundreds of thousands of dollars on Google AdWords and Facebook focused on converting visitors into paid subscribers.